October 12, 2018 6:18 pm. Leonardo Da Hinchi has taken a step to a Caulfield Guineas start with his win in the Stutt Stakes. Leonardo Da Hinchi has pressed his claims for the Caulfield Guineas with a solid victory in the Stutt Stakes at Moonee Valley. 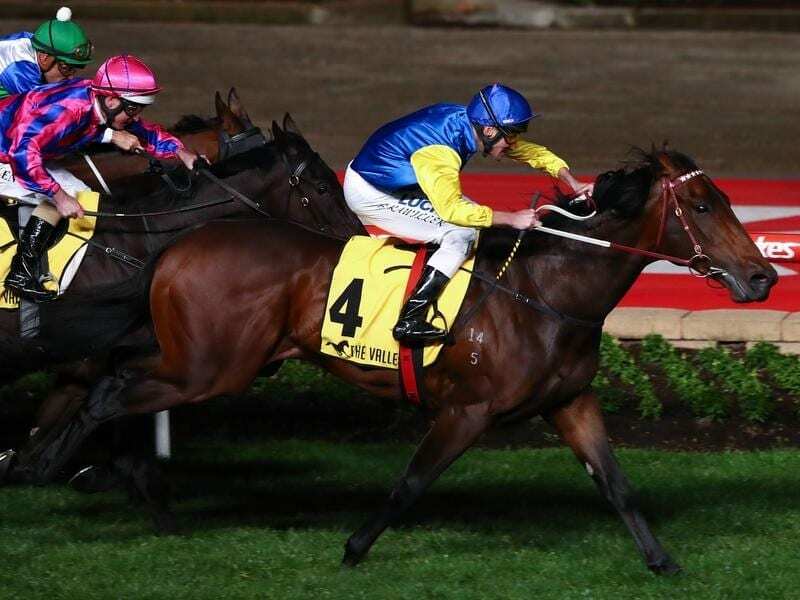 The victory wasn’t as easy as expected for those who took the short odds in Friday night’s Group Two race with the Darren Weir-trained three-year-old held up behind the leader Mark The Horse. Jockey Brad Rawiller was able to get the colt to the outside turning for home where he raced clear for a three-quarter length win from Musswellbrook. “I was concerned as he got in a tricky spot,” Weir said. Weir said Leonardo Da Hinchi deserved a shot at the Group One Caulfield Guineas on October 13 but was wary of running into the Sydney three-year-olds heading south for the race. “He ran well last start and he won well tonight and the main thing is he pulls up well and then gets his chance to run well,” Weir said. “The Sydney colts are a bit of a worry but you can’t be too worried about them. “You’ve just got to worry about your own horse, get them there in the right shape on the day. “He’s a really nice horse but he’ll be a better horse in the autumn.